For the Tesla Model X without factory premium audio package pre-installed. Includes four special door speakers/woofers. For the Tesla Model X without factory premium audio package pre-installed only. 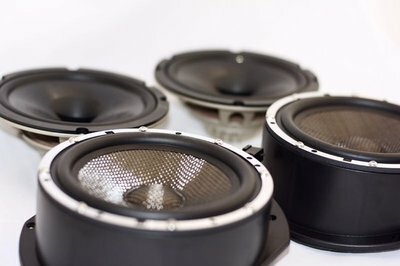 The best part of the whole package is, it only requires to replace the speakers in the 4 doors, no cut, crimp or run any wiring for this unbelievable package. No interference with Tesla's electronics or electrical system.